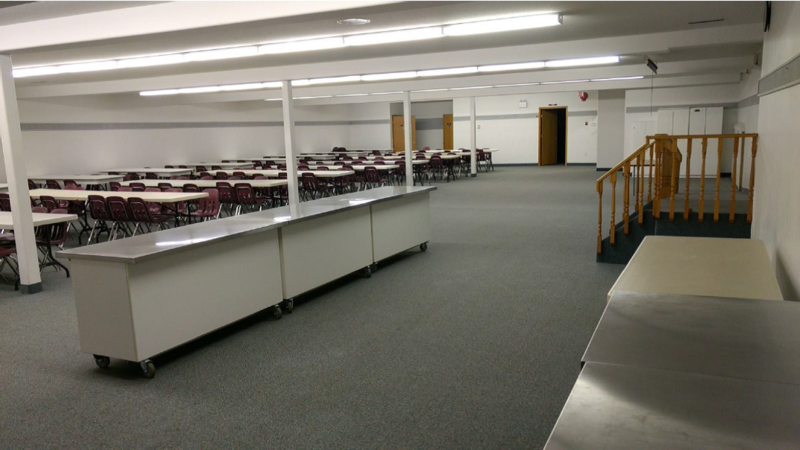 The Stony Plain United Church is more than a place for Sunday Services. It is also a gathering place in our community. The church facilities are used by local groups such as the Girl Guides and Al-Anon because it is central in the town and has the ability to accommodate their groups. When you walk in the door. you will find yourself in the Atrium, with benches, boot and coat racks. 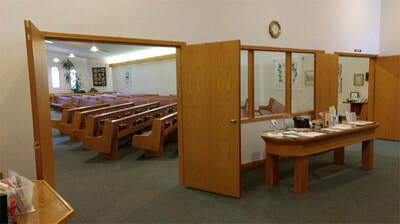 From here, you can access the various areas of the church. There are bathrooms located upstairs and down stairs on both the east and west sides. There are ramps and an elevator for wheelchair access throughout the building. On many evenings, you may find our lights on and our doors open for a concert, committee meetings, dinners, weddings, and so on. If you or your organization require a facility to use, either for a onetime event or for regular meetings, you might find we have what you need. Below is a list of the main facility areas that are rented. 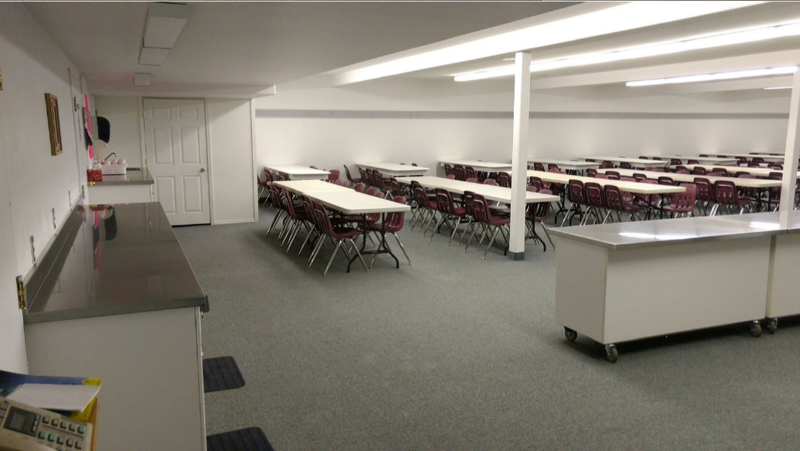 If you would like to inquire further or book the facilities for an event, please contact the church offices by phone at (780) 963-4745, or by email at stonyuc@telus.net. Here is a PDF file with a layout of the church. Here is a PDF file with photos of the areas around the church. 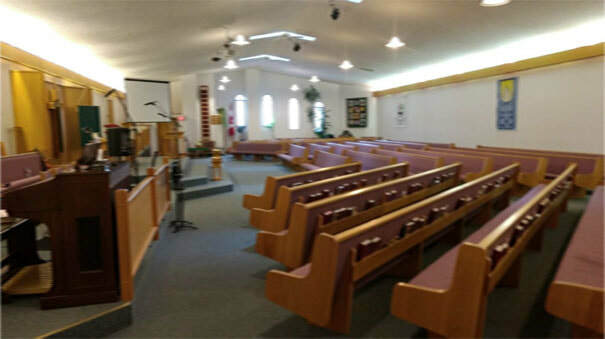 ​Used for wedding ceremonies, concerts, memorials, funerals, lectures, etc. Padded pews seat about 350 for ceremony or lecture. Adjoining Narthex and Crying Baby Room. Seating for about 300 for dining. Seats about 80 for dining. Seats about 100 for ceremony/lecture. Seats about 50 for dining or lecture. ​Kitchen with refrigerator, electric stove, sink, dishwasher, tea kettle, coffee maker. Seats about 20 for meetings. Used for wedding ceremonies, memorials, funerals, lectures, etc. A completed and signed Facilities Use Agreement and deposit are required to reserve a date. Other events may be going on concurrently in the facility, hence we ask that your event guests confine themselves to your assigned area. Your event use is based on returning the facilities in “as good as or better than condition”. Alcohol is not allowed in the facilities except by special permission from the church Council. Any damages resulting from your event you are responsible for. The church is not responsible for loss or damage of anything you bring in for your event. We recommend you consider getting event insurance as the church cannot accept any liability for your event.